Not the best of pictures but you get the idea. Growing up and up until recently bread as I knew it was sliced and bought in a store. So I decided it was time to make an attempt at bread making. I had made bread a few times in the past with my bread machine using a special bread machine mix, I was never impressed. So I tried two methods this time and only had sucess with the above loaf. I tried a traditional white bread and the above loaf which is Oatmeal Bread. It was delicious and the whole family enjoyed. The white bread I attempted to knead myself and let rise on a cool drizzly day. You know it, it didn’t rise until the next day. The oatmeal bread I cheated a little and used my bread machine for a little assistance. I first put the milk and butter in the pan then the dry goods mixed except the yeast then I made a small area in the middle of that and added the yeast and I used the “dough” cycle on the machine. It mixed, kneaded and started the rising cycle. I took it out onto an oil counter, shaped it into a loaf and let it rise for 1 – 1 1/2 in the bread pan and then cooked it in a preheated oven 350 degress for approximately 35 minutes. Viola, my first successful loaf of bread! Here is the recipe. It was found on the back of a package of King Arthur flour. 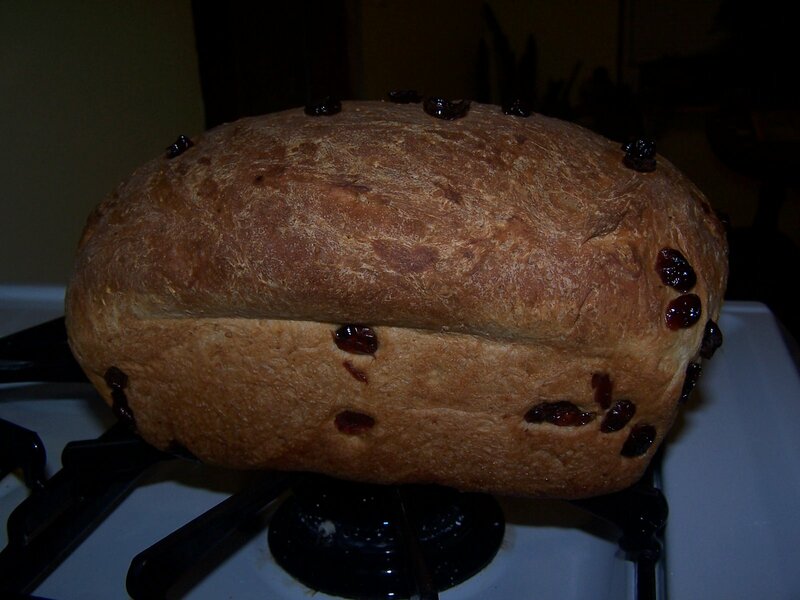 This entry was posted in bread making, recipe by Achorn Farm. Bookmark the permalink.